The ATMF Cult collection is opened, Kampf is finally back available and repressed, the avant-garde but traditionally Indo-European act Milestone of the Italian Scene in movement, unleashed in the first edition under the banner of Pagan Moon also in consequence of the split of the label that was supposed to be release it, Varg Vikernes’ (Burzum) Cymophane. Tronus Abyss history has started in the ’94 as an active part of the Black Metal scene but lately become something out of any easy classification. 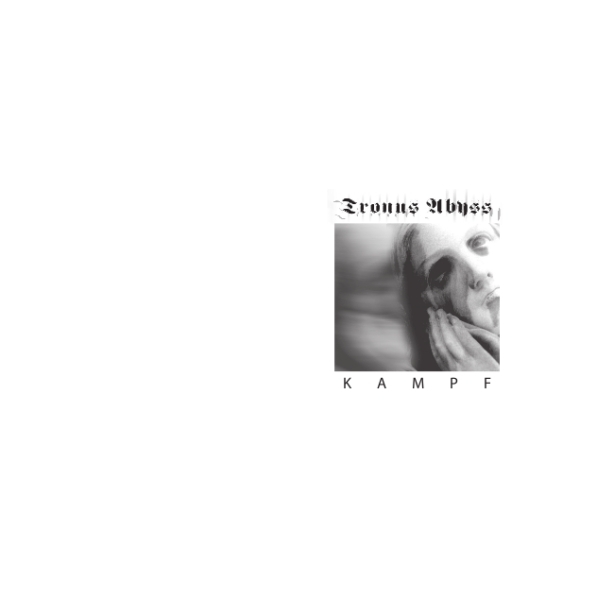 Kampf is a trip to the ancestral atavism and beyond human prison to unknown dimensions, musically a personal and still innovative, after 4 years from the release date, act stating how Black Metal can turn in something unique, a proud character merging electro-folk, ambient and industrial moods. Crossing the border of a genre understood as stereotypes, TA moved by nothing but their inmost research and the will to transcend the narrow human visual.